all these options. For sandbox account in paypal I entered test account credentials and its working fine. Now I need to change to Live, but i don't know how to get credentials for live account. how do I get live API credentials such as (API username,API password,Signature)?? Any help will be appreciated.Thanks in advance. Just click this link and enter your paypal login credentials. Not the answer you're looking for? Browse other questions tagged paypal drupal-7 credentials or ask your own question. 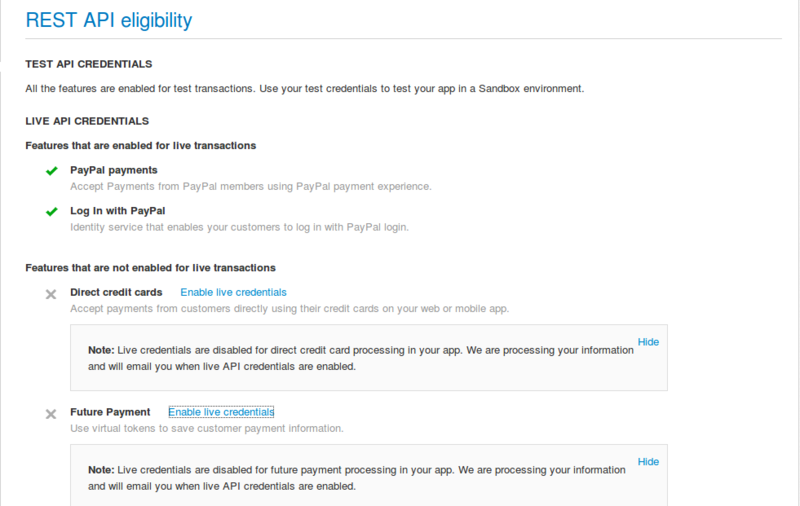 How do I get an application id for the Paypal sandbox? How do I get the API Live info for my VirtueMart3 in Joomla? How I can enable “PayPal Pro” in my account?